Bad Dog Publishing (BDP) is an Independent Publisher, primarily of Knightshade the Role Playing Game (RPG) system along with related material in that genre. BDP also provides an outlet for Irish Authors in the Fantasy, Horror and Sci-Fi Genres. Bad Dog Publishing is a niche-market publisher. We do not often publish in cross-genres outside of those in our target markets. We concentrate mostly on Fantasy, Horror and Science-Fiction genres through our distribution channels, utilising availability to website and traditional bookshops, as well as encompassing eBooks and standard paperback copies. BDP occasionally publishes Adult Fiction for select Authors. Books are printed in shorter print runs, and subsequently, only as required, reducing the need for holding large quantities of stock, or consigning publications to larger print runs. Bad Dog Publishing also produces Fumble Newszine in association with the Knights of Misspent Youth (KOMY), a periodical Newszine aimed at the Gaming Community, as well as other promotional material used to support BDP publications. 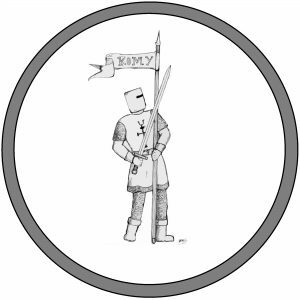 BDP sponsor KOMY, who in turn provide game testing services for RPG products in development.